One thing I haven’t yet talked about on this blog is the effect of the monthly cycle on the weight loss journey. In last week’s entries I complained about emotional cravings. I was surprised they were so strong after having much reduced cravings on the BENew system. Last night I suddenly felt all bloated and icky and, well, if you’re female you know what came next. I hadn’t had a cycle in a long time. Had hoped I was crossing that line through perimenopause to the other side of glorious freedom. But the point is that PMSing affects how we deal with our food. As a young woman it meant a coke and fries every time. I can still hear my new husband’s voice early in our marriage, patiently explaining that adding caffeine and fat into my diet only made PMS worse. He talked me into a good calcium supplement and got me to a chiropractor and things settled down. But the craving for foods higher in fat content during PMS days has never gone away. The good news is that even though I had a super rough start to my day after lying awake half the night, I scheduled a phone call with one of my best friends (who lives WAY too far away!) during my walk. The trek stretched to 5.28 miles before I decided I needed to turn off my tracking app and sit down for the rest of our conversation—which was a glorious two hours. My friend and I do this every month or so, and it was super encouraging when she noted that I hadn’t huffed and puffed this time. She said she couldn’t even tell I was walking while I talked with her. I dreamed last night that I was running. Not just the block or two I run periodically on my walks, but for a mile, then two, and I wasn’t even winded. I mentioned in an earlier post that my husband and I are rebuilding after the parent company of his business canceled the products, leaving us without an income. We’re excited about what is happening in his life and our family now that he works for Life Force International, and we’re building toward a more secure financial future. Meanwhile, we have lots of mouths to feed, and I’m becoming quite the gleaner, trying to eat healthier while still being very frugal. My friend, Niki Nowell, helps. She and her husband have a ministry to the homeless and are a hub for resources for them and for lots of others who struggle. She came across a bunch of blueberries the grocery store didn’t want to pick through . . . they were starting to turn, some of them no longer usable, but about half of each little 6 oz carton still was. My friend sent me home from her house with two flats. 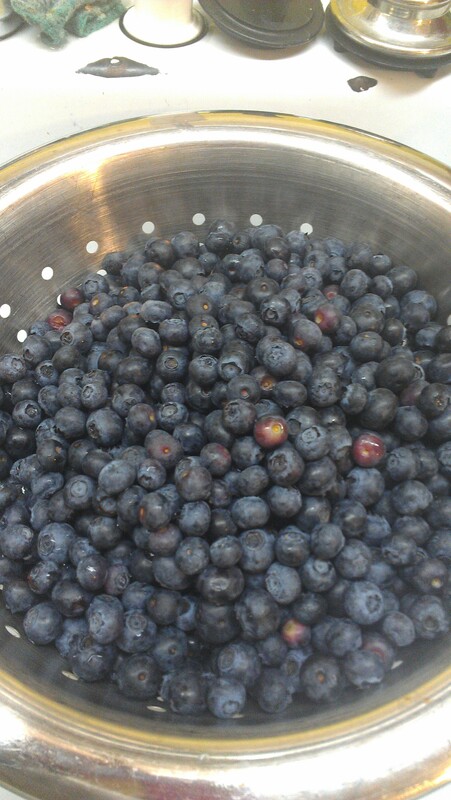 I spent a couple of hours tonight sorting through the blueberries, keeping the good ones and tossing the bad. Then I froze them in 1 cup servings to go into my BEFull shake. I feel so blessed to find ways to eat healthy and enjoy the good food. 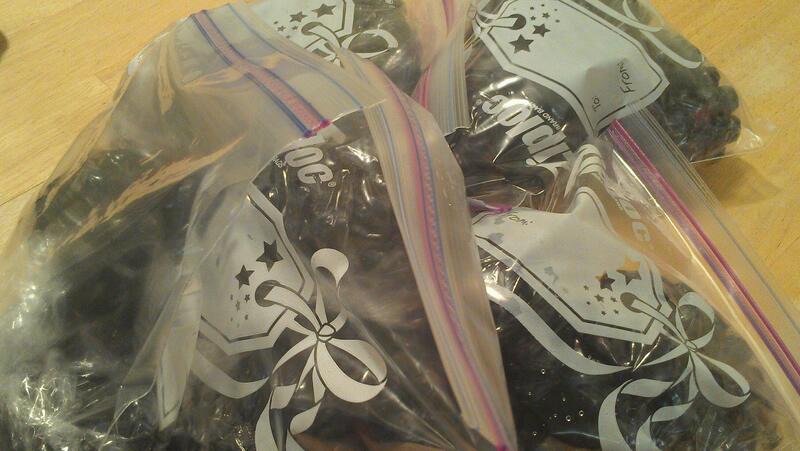 I now have 14 cups of blueberries neatly stored in my freezer—and they cost me nothing but a little elbow grease. Still trying to get reorganized at our house! On Monday we finished up the last bit of painting in my son’s new bedroom, and now we’re trying to find a new home for everything that’s been piled in the living room and den for that last week. I’m hoping that I burned a lot of calories in the 8 days of decluttering, boxing stuff up, and painting we did because there was no time for exercise or even rest! We did take Easter Sunday off of this major project. Jerry and I went out to breakfast, then met the kids at church. Back home we rested, walked a couple of leisurely miles, and sought to recuperate! I read a fun little inspirational novel called, “Sandwich with a Side of Romance.” It was the perfect way to unwind. Monday morning the amazing Jen came over to finish up the final touch-ups on the painting. We’re almost there. It’s weird how this losing the junk in our home feels connected to losing the pounds off my body. What healthy foods do you delight in? What ways are you losing weight besides pounds off your body? One of the healthy foods I’ve been delighting in lately is a Berry Green Smoothie in the morning. I’ve been trying to add more greens to my diet, especially kale. I’ve discovered kale goes quite nicely in a berry smoothie (it makes raw kale much more palatable). I’m hoping to share the recipe on my blog here in the next week or two. Send me a link when you put it up, Juliet. I can share it with others!